Maintaining your car needs the right spare parts, some of the car parts and spares available on Jumia Egypt include different types of ball bearing, power batteries, brake parts and clutch plates. Browse through the site for top notch spare parts and batteries from Eveready, Universal, Hyundai, Bosch, Honda and Mitsubishi. 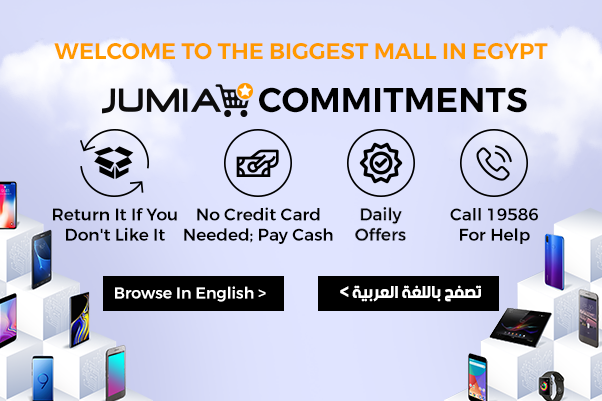 Shop conveniently on Jumia Egypt, pay for your order securely online and have your products delivered to your home or office. There are a variety of auto parts on Jumia Egypt, to get the exact product, filter using brand name, ratings and prices. For different types of types of batteries, check under the batteries and accessories category, here we have rechargeable batteries and alkaline batteries. Find, also, battery chargers, jump-starting cable and charging cables on the same category. Check out the bearings and seals category for wheel bearing, roller bearing and deep groove ball bearing. In the filter section we have the fuel, oil and air filter. Shop for car spare parts and car accessories via Jumia Egypt. Browse through the site for auto spare parts from trusted brands. Our prices are pocket friendly, plus we have attractive discounts on selected items.